There are plenty of simple plugins that let you create custom redirects for your website. In fact, you can use .htaccess and NGINX directives to handle simple redirects without even touching a plugin. The WP Geo IP Action plugin takes it to the next level though. It lets you redirect, show, and hide content based on the geoloation of each user. You can use this plugin to remove unwanted traffic by redirecting it. It can detect city/state/country of each user and hide content based on that. The WP Geo IP Action plugin uses MaxMind, IP-API, and Geo Plugin to get location data. Users have the option to exclude pages from redirection rules. More info is available here. 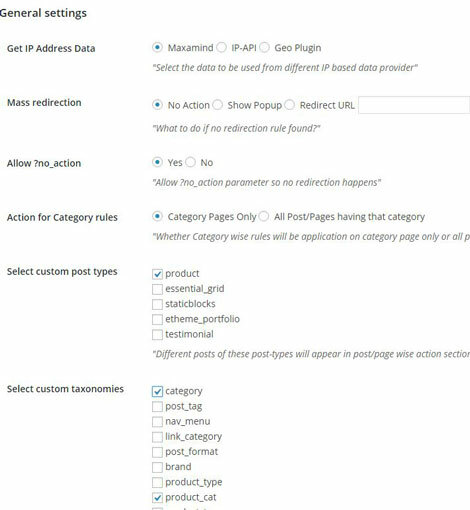 Can You Put Your Favorite Posts On WordPress Direct?